Can you put a price tag on art? How much is an artist worth? 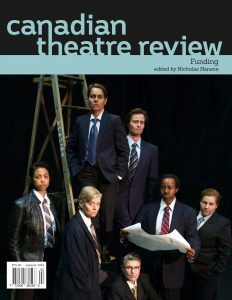 CTR 167 Funding, edited by Nicholas Hanson, follows the money, tracking the financial wellbeing of the Canadian performing arts network. From coast to coast to coast, our nation’s theatre artists are facing increasingly precarious living and working conditions. Nevertheless, artists and arts organizations are demonstrating imagination and innovation in the conception and implementation of new ways to pay the bills. In 2016, the Canada Council for the Arts will implement the most transformative changes in their history; this issue is perfectly timed to explore the unspoken realities about artistic labour, the complicated notions of accessibility, and the creative solutions for the future. This issue critiques governmental policies and organizational structures, but never loses sight of the fact that arts funding isn’t an abstract topic—access to money (or lack thereof) impacts individual people in deeply personal ways. With dynamic contributions from a group of established and emerging voices, CTR 167 features lively conversations, insightful articles, and whimsical provocations. An eclectic range of topics includes an interrogation of Justin Trudeau’s promises, a program that offers free theatre tickets, and the impact of Vancouver’s real estate market. Financial literacy might seem like a subject reserved for mature adults, but this issue’s script—The Money Tree by Robert Watson—proves otherwise. Originally produced by Roseneath Theatre, the play has toured to hundreds of elementary schools, sparking playful ideas about money, greed, and responsibility. The online slideshow documents some of the inventive methods used by artists and organizations to fund their projects despite challenging financial circumstances. Organized in three parts the slideshow focuses on creative approaches to performance venues, novel project-based fundraising techniques, and celebrates the artist-activists who’ve protested funding cutbacks and theatre closings across the nation. 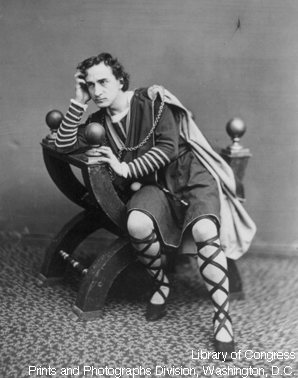 Next post: On The Theatre Times, a non-partisan, global portal for theatre news.